Due to the large variety of rose cultivars available for growing in sunny landscapes, rose gardeners must learn the specific needs and requirements for each rose plant. 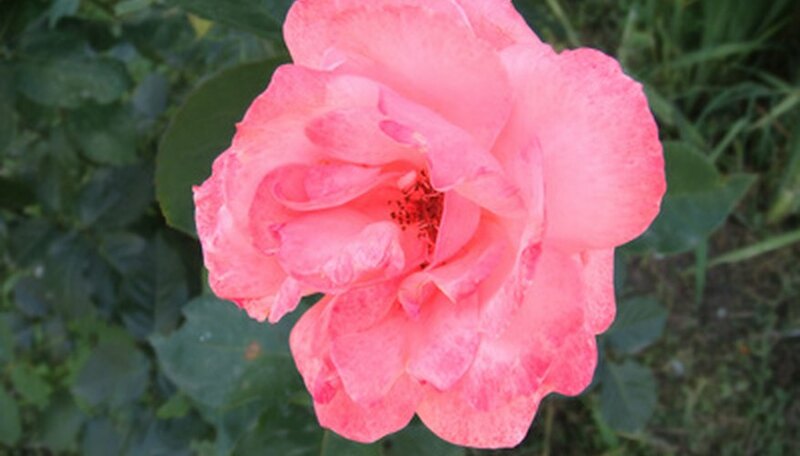 Prune rose cultivars at the proper time to produce a healthy rose plant with abundant blossoms. Rosa rugosa, a shrub rose, grows to an average height and width of between 4 and 6 feet. Prune rosa rugosa bushes in late winter to keep the shrubs beautiful. Inspect the rosa rugosa shrub carefully at the end of the winter or beginning of the spring while the shrub is still dormant. Look for damaged or broken branches and mark these for removal. Find any dead branches--branches with no buds that a drab brown color--and mark these for removal also. Cut away any damaged branches with pruning shears. Cut them back to the point where they intersect with the next largest branch. Cut away the dead branches by cutting them back at the crown of the shrub. Trim away the newest growth around the edge of the shrub to shape it and control the size, if you desire. Use the pruning shears to trim away these canes, cutting the canes off just beyond a leaf node. Do not remove more than one-third of the total cane length as you shape the rosa rugosa shrub. Remove the rosa rugosa cuttings and discard them. Do not leave plant refuse around the base of the shrub because it can contribute to disease. Leave the spent blossoms on the rosa rugosa shrub and they will become rose hips as the growing season progresses. Rose hips are attractive on the shrub and some birds like to eat them. Wear gardening gloves to protect your hands from prickers and thorns. Some gardeners prune rosa rugosa shrubs very minimally, allowing these shrubs to grow into very large and plentiful specimens.